On the 30th of March, our co-founder Jeanette Frisk participated in a conference about UN’s 17 Sustainable Development Goals at Christiansborg Palace, the seat of the Danish Parliament, Danish Prime Minister and the Supreme Court of Denmark. This conference brought together businessmen, politicians, academics and professionals under the topic “ What do we do with the global agendas?” The conference aimed at creating a conversation about Denmark’s potential to address the 17 goals, not only at home but on a global level as well. 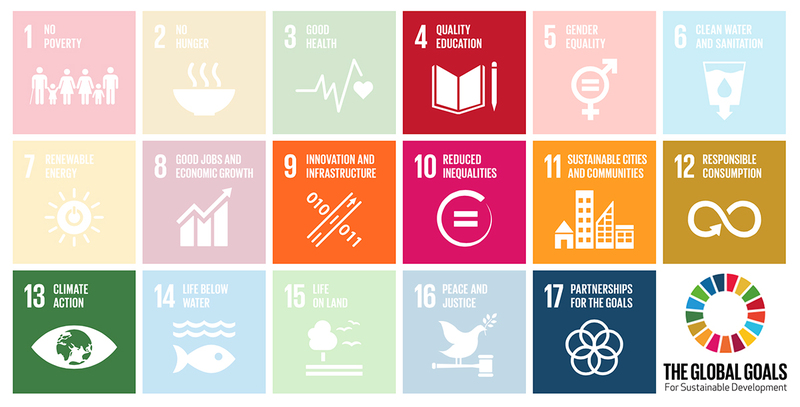 The UN’s Sustainable Development goals is a set of 17 goals that is covering a broad range of sustainable development issues such as no hunger and poverty, inclusive and equitable education, sustainable cities and communities, climate action, etc. 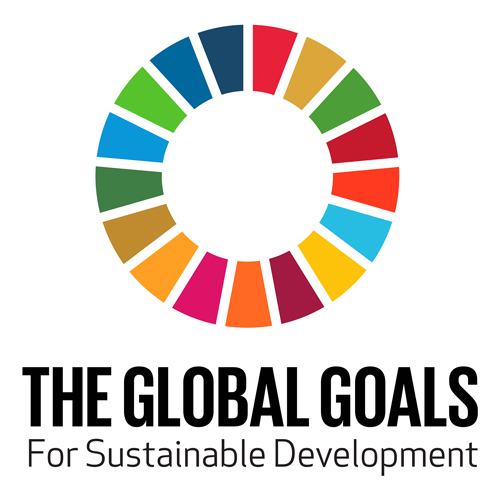 These 17 goals were set and enacted in August 2013 by the 193 UN Member States as well as the global civil society, and are to be achieved by 2030. These goals are a respond to an acute need for a change in our lifestyle and development patterns on a global level. During the last 70 years the population of the world has been tripled, and our planet cannot sustain the progress if we hold on to our old ways of doing things. Moreover, half of the world’s population is concentrated in urban areas and the number is estimated to be increased to 2/3 by 2050. Therefore, it is evident that if a transformation must take place, it’s the cities that have to adapt first. And it’s the cities in the Western World that should pioneer the transformation. Not only because they are the most resourceful, but also because they have some of the most incompatible lifestyle patterns with the Sustainable Development Goals. No Individual or state is legally obliged to comply with UN’s 17 Sustainable Development Goals. These 17 goals solely provide a normative ethical framework on what should be done to ensure a sustainable future for our societies. What do we do to reinforce the global agenda? At arki_lab we try to do our best to work with the different goals in order to create a sustainable development – by pushing new, multidisciplinary collaborations, encouraging and engaging citizens to take action and to use recycled materials in our urban design projects. To our great pleasure, a big part of the discussion at the conference was centred around what we have been devoting our work to for many years now: The significance of public-private partnership, network mentality, acting locally and mobilisation from below. This was an important topic, talking about how complex problems call for holistic solutions, which in their turn could only be created through a hypercomplex collaboration. The suggestion was that we need to create an innovate partnership model that goes beyond the traditional version, where the public sector is the client and the private sector is merely a subcontractor. In our projects we always strive to create collaboration between several public and private actors, with the civil society always having the central role. One of the best practices is the Soul of Nørrebro project, where the city of Copenhagen has to implement a new cloudburst solution for the city. This project is planned to be carried on through an expansive collaboration between several actors and with the direct involvement of the civil society, which ensures that the social infrastructure will grow parallel to the physical infrastructure. One of the main discussions at the conference was about how silo-thinking is the biggest organisational hurdle to a fruitful collaboration. The suggestions was that institutions and organisations should look outwards instead of inwards. Cross-institutional thinking and sharing knowledge, experience and vision is the only way we can have a holistic approach to growth, find the optimal solution and get our societies on the sustainable development track. This is the core of our practice at arki_lab and it’s a constant strive for us, because the silo mentaility is so strongly embedded in the culture. Bringing all the actors together and connecting them through horizontal structure, enables us to adapt a holistic approach. Many of our projects are pushing these lines because it’s a whole new way of thinking and collaborating. A good example is our new action-based project to find the best solution for an outdoor educational space, where the students, teachers, architects, the local urban renewal, local inhabitants and education experts work in close collaboration. To our great pleasure Glocalisation was one of the recurrent themes of the conference and was mentioned several times as the solution to the shared problems our cities face today. Contemporary cities are the incubator of social, cultural, political and economic innovations. To tackle the challenges in the most efficient way, actions should be taken locally through bringing all these creative forces together in a synergic collaboration, while using the global agendas as a framework. At arki_lab we believe big changes start with small steps. No matter if we work on finding a local waste management solution or an inclusive intergenerational urban space, we believe our local actions can cause a butterfly effect. In the absence of law enforcement mechanisms, we need an alternative mechanism to ensure achieving the goals. This alternative mechanism is a problem-solving mindset based on ethics that should be present in each and everyone of us. Demand and supply are always correlated. Renewable energies, green transportation and sustainable waste management solutions only thrive when they have public support. To trigger a transformation, we should invest in changing the culture. Mobilisation from below is the most effective answer to the challenges that our cities face today, which can only happen with thoughtful, responsible leadership. That is why at arki_lab education through involvement process is always on top of our urban agenda. It’s only through education that we can mobilise all the local forces, vocalise them and facilitate their impact on the development agendas. Changing culture is one of the main reasons that our design processes contains lots of dialogue, co-thinking and co-creation. We believe mobilising local resources through co-creation processes is an integral part of sustainable development, and that is why we would like to once again accentuate the importance of Designing Cities WITH People. Click here to read more about the conference (in Danish).